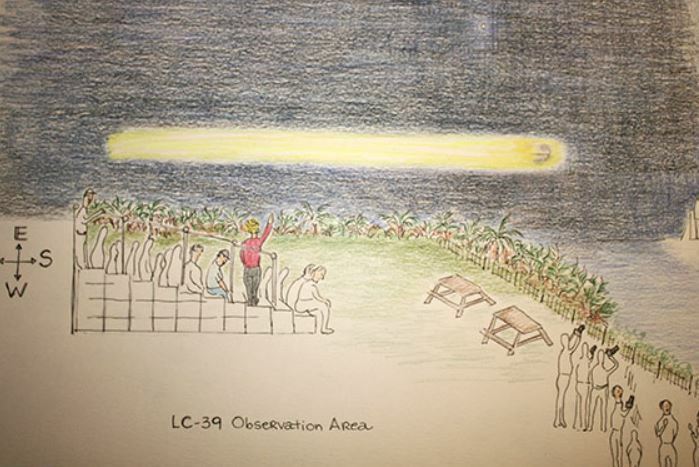 A Florida witness at Titusville reported watching an oval-shaped object crossing the sky “shrouded in the bright, meteor-like light” while waiting for an Atlas V rocket launch, according to testimony in Case 81674 from the Mutual UFO Network (MUFON) witness reporting database. The events occurred about 8:15 p.m. on January 19, 2017. “My husband and I were in the viewing bleachers for the launch of the Atlas V rocket carrying a missile detecting satellite,” the witness stated. “We were in a launch delay. I was standing in the bleachers and others were sitting.” The witness says she was staring at the sky as she had heard that UFOs sometimes frequent launches. “I was looking towards the east and suddenly I saw an extremely bright, yellow/green light and it was wide, and it was close. It was horizontal to the ground and it streaked by us. I yelled, ‘Look’ and people in the stands caught a glimpse. It was so fast that many missed it, but some didn’t. The woman behind me who was sitting down and just caught a glimpse said it was a meteor. I said, no, there was something in it.” The witness saw a light streak by with something metallic in it. The witness described what she saw. “Just before the yellow/green steak of light vanished, for a fleeting bit of a second, I saw part of something metallic. It had a seam and a shape that was rounded. But the yellow/green light obscured all but a small part of the object. 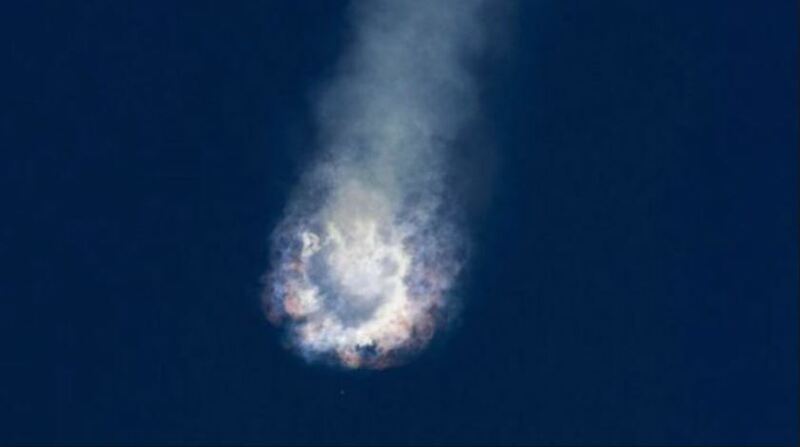 I know what I saw and there was definitely something in that light.” The launch was scrubbed due to a wayward aircraft in the flight path of the rocket. “We all got on the buses and left. But I was still filled with excitement as I believe that was a UFO. I checked the web and cannot find any record of a meteor on that night.” NOTE: The above image is CGI.